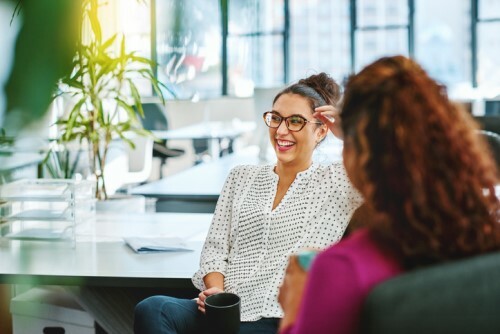 Workers who have a reliable schedule at work are more likely to be happy compared to those who don’t, according to a study from the University of California-Berkeley and University of California-San Francisco. The report, published in SAGE Journals, examined some of the most common scheduling practices used by 80 of the largest retailers in the US. Nearly 28,000 retail and food-service workers were interviewed to find out how such policies can affect their performance. Staff who received more than two weeks’ notice of their schedule were found to be 75% more likely to be happy. Meanwhile, those who had only two days’ notice of their schedule or less had a 65% likelihood of being happy. The findings suggest that having uncertain work schedules can have a more strongly predictive impact on the health and wellbeing of workers than hourly wages. Senior policy analyst Alix Gould-Werth of the Washington Center for Equitable Growth said workers prefer following certain schedules at their jobs. “When workers do not know what their schedule will be, they cannot plan out their time to accommodate school attendance, second-job holding, or family obligations,” she explained. Gould-Weath said schedules end up depending on how employers perceive the ebbs and flows of consumer demand. This results in work hours becoming irregular and unpredictable. Because of this, lawmakers in the US have begun cracking down on such practices. Legislations have been passed to force companies to implement a more predictable scheduling for their employees. Only 39% of workers interviewed said they have regular work schedules. About 14% of participants claimed they had a shift cancelled on them a month before they took part in the survey. Half of the workers said they had been part of “clopening” shifts, a practice where staff had to work the closing shift the night before they had to open the store. Those who work “clopening” shifts were 67% more likely to suffer from poor sleep quality. One in four retail workers said they have on-call scheduling. This means they have to be able to work on certain days despite not having a guaranteed shift assignment or pay. Employees who were given such schedules were 9.2 percentage points less likely to report of being happy at work.